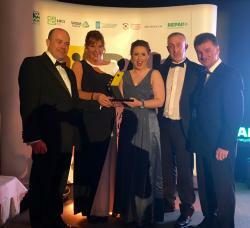 Meade Potato Company's waste prevention programme was rewarded recently when we received the Repak Food Waste Management Award and went on to win the overall Pakman Award 2016. Our food waste prevention programme is conducted on two fronts - channelling our food effectively to avoid waste and also educating consumers so that the end user is less likely to waste fresh produce. By ensuring that we have suitable markets for all our produce - retailers, processors, community food banks and last resort as stockfeed, we have achieved zero food waste. Our consumer awareness efforts are centred around working with waste prevention advocacy groups like foodcloud, VOICE/Food Rescue and Feed the 5000 on special events and by posting food waste prevention tips on social media and our website. We have plans to expand our website waste prevention section, and look forward to working with Repak, as well as Bord Bia's Origin Green programme, in future to discover further ways of protecting our resources. 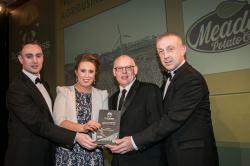 Meade Potato Co. are honoured to have been nominated for a few different awards this year in various areas of operation recently including our website, sustainability, supply chain and health & safety. CAN WE MAKE IT A DOUBLE? In the Agribusiness Awards 2016, we have again been nominated for Fruit and Vegetable AgriBusiness of the Year. Having won this prestigious award last year, we hope we might make it a double and retain the crown again this year! 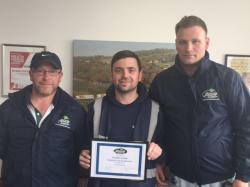 We are also very proud of the Excellence in Health & Safety Award which is a recognition of the brilliant safety record we have in our farm and food production facility. The investments we have made both in extensive automated training and safety measures around the factory floor have resulted in very low rates of workplace accidents. 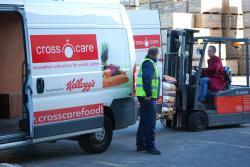 Lastly, our sustainability record has been recognised again by the AgriBusiness Awards. Our waste prevention work is something of which we are proud, so recognition of that is very much appreciated. The Repak Awards also recognise work done on the sustainability front, and we are thrilled to have our efforts to effectively and sustainably channel food waste earn us a Food Waste Management Award nomination. Our desire to get the most out of all of our crops means that we are adept at finding markets for all our produce. Our new peeled potato range for the catering and wholesale sector has given us a great new market for our potatoes, with feedback from our customers being very positive. We channel as much of our produce as possible for the processing sector and community foodbanks with remaining produce and Class 2 going for stock feed locally. All these efforts translate into zero food waste for Meade Potato Company, which then translates into a better, more sustainable environment. We were also nominated for the Dot IE Awards in the category of Website Most Joyous to Look At and Fun to Use. While we were up against stiff competition from Neven Maguire's 1000 Days website and the Easter Commememoration websites, we were thrilled with the nomination for all the hardwork by Floweb, our web designers, and for all the content posted by yours truly! Naturally fat free and fab, you gotta love your spuds! 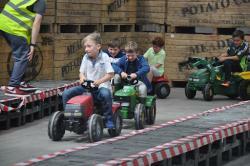 Meade Potato Company wish everyone a Happy National Potato Day this Friday October 7th. To celebrate the humble spud we are giving away a deluxe fruit and veg hamper with a big bag of spuds on the side, every day on LMFM. You can also pay homage to Ireland's favourite vegetable by cooking up some delicious potato recipes from www.potato.ie. As growers, packers and distributors with over 30 years’ experience bringing fresh produce to retailers nationwide, the Meade family are passionate about potatoes, and have just introduced a popular new peeled, processed potato range. For more information, see our Products page and find them under Potatoes. 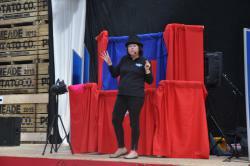 SUCCESSFUL SCHOOL FUNDRAISER HELD AT MEADES - AFFORDABLE FAMILY FUN FOR A GOOD CAUSE! 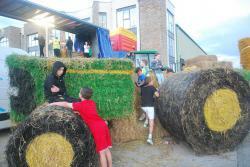 The feedback was all positive for the school fundraiser on 20 Aug at Meade Potato Co. 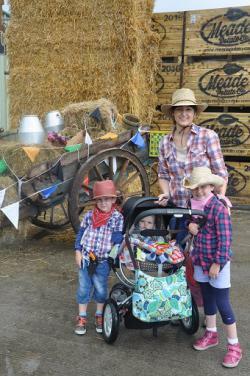 The Family Fun Day on the Farm gave families the opportunity to enjoy an affordable afternoon's worth of activities with a farm theme for €5 per adult with kids going free. 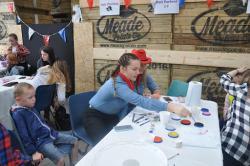 Held in a transformed Meade potato store and packhouse, the hoedown theme provided a fun backdrop for the day. 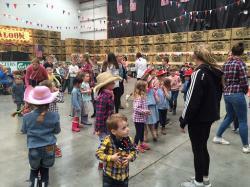 A magic and pupper show kicked off activities at 1pm and was followed by a junior barndance at 3pm where all the little cowboys and cowgirls showed the adults how to line dance! 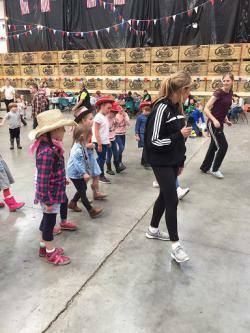 The dancers definitely warmed up the dance floor for the Hoedown in Lobinstown which was taking place later that night. 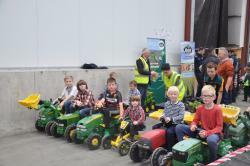 The Mini Tractor Grand Prix gave the future farmers a chance to try their tractor racing skills, while the real thing was on display outside with tractors, potato harvesters, balers, etc all on view. With medals given for all participants, it gave the racers a chance to test their steering skills around a proper albeit mini grand prix course. A bouncy obstacle course New Holland tractor awaited the racers when they finished racing so they could declare at the end of the day: "I raced a tractor, I raced WITHIN a tractor and I saw lots of tractors!" For those that were sporty minded, there was a penalty shoot out with Meath goalie Paddy O'Rourke which kept the Meath man busy for his entire stay - with many mini footballers trying to get a spot on the Meath team too! 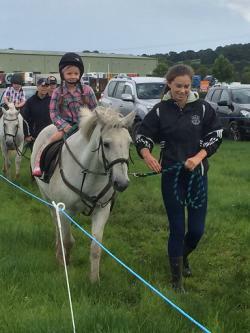 The ponies of Lobinstown were kept busy too, with a constant queue of aspiring equestrians that kept the pony team in constant motion for 3.5 hours! Children also had the opportunity to cool down a bit from the balmy weather by taking a turn at the Sponge Throwing station. The tour guides at the farm and factory tour were also kept extremely busy with 8 tours being given one after the other to adults and children alike. Starting off with a talk by Farm Manager Conor O'Malley about our potato and carrot crops, tour participants then got to see behind the scenes and follow the journey of the potato from field to fork, and learn about how we bring other fruit and veg to market. 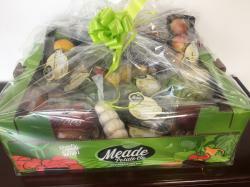 They finished the tour by getting to take home a goody bag with some of the potatoes, fruit and veg that Meade Potato Co. grows, packs and distributes every day. For those wantig a beauty touch up or temporary tattoo while at the Fun Day there Make-up, Hair and Nail stations at the event. 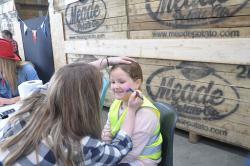 Our temp tattoo artists and beauticians went through a good bit of make-up as they kept the kids of Lobinstown colourful. The hard work of the Newtown and Heronstown National Schools volunteers made the whole day possible, as did the support of the other sponsors besides ourselves: Bowhan Coaches, Generali Pan Europe, AIB, Welvent, Haith, Flomax, JMC Packaging, PJK Structural Steel, EM Automation, M. Rock & Sons, RF Clarke and IDL Europe. On behalf of the Newtown and Heronstown Parents Committees, we'd like to thank everyone for attending and supporting the cause! 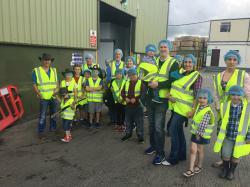 Meade Potato Co. were delighted to host and support this event that gave families an affordable and farm themed fun day out. WE ARE SHORTLISTED FOR A WEBSITE AWARD- TIME TO VOTE FOR US! 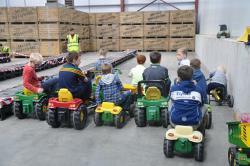 FAMILY FUN DAY SCHOOL FUNDRAISER FOR LOCAL SCHOOLS AT MEADE POTATO CO.
Making full use of the Meade Potato Company store which is being transformed for the Hoedown in Lobinstown that night, local parents committees have organised a fundraiser to be held prior to the Hoedown from 1-4pm on Saturday 20th August; activities include a mini tractor grand prix, free farm & factory tours of Meade Potato Company, a junior barn dance, face painting, a farm machinery display and a magic & puppet show suitable for all ages. All of these are included in the admission price of €5 per person, with children going free and all proceeds going to fund local schools. 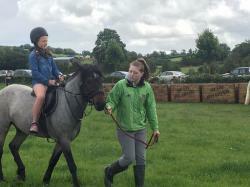 Also on offer on the day will be penalty shootouts, sponge throws and pony rides. 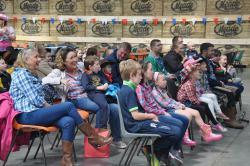 From racing around a custom built course on toy tractors to seeing the field to fork journey of the spud at the Meade Farm, to enjoying a magic and puppet show in the Hoedown barn, there are activities to cater for all ages and interests on the day. EMPLOYEE OF THE QUARTER AWARDS JUST ANNOUNCED! 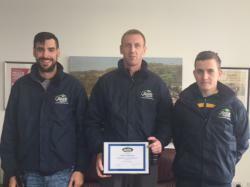 : STEPHEN LYNCH, Fruit Division; PETER JORDAN, Potato Division & SIMAS SILIANSKAS, Vegetable Division. Stephen Lynch always approaches his work in the Fruit Div. with a great attitude and is known for being very helpful and efficient, no matter what the task. A real pleasure to have around! Stephen (centre) is pictured here left with Daragh Carolan and Ronan McDonough. 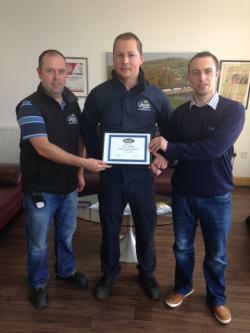 Peter Jordan has scooped the Employee of the Quarter Award amongst tough competition in the Potato Division. Peter has shown a great work ethic since joining us a year ago and gives every task his all. A great addition to our team. Peter (centre) is pictured right with Thomas Clarke and Philip Meade Jr.
Simas Silianskas is very efficient and punctual. His diligence in the distribution and loading of our lorries ensures that no matter what the hour, all our produce arrives on time and in premium condition. Simas (centre) is pictured bottom with Peter Sheehy and Mark Fedigan. 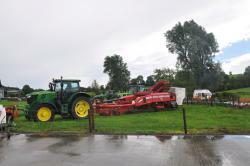 Meade Potato Company is delighted to support the local schools (Newtown NS and Heronstown NS) and the local football club (Syddan GFC) by sponsoring a Family Farm Fun Day as well as the 2nd Annual Hoedown in Lobinstown, both on Saturday 20th August. 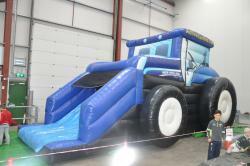 The Family Farm Fun Day is a new event taking place from 1-4pm which will include a junior disco, farm and factory tours, tractor exhibition, face painting, toy tractor grand prix and fresh cut chips for the price of admission, with penalty shoot outs, pony rides, sponge throws and burgers also on offer for a minimal fee. 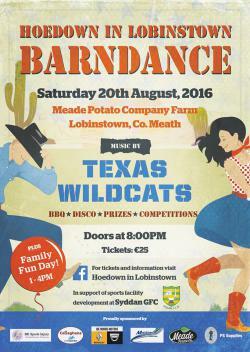 The Hoedown in Lobinstown returns after a successful debut last year, this time featuring the Texas Wildcats who are sure to bring the barn down with their brand of foot stompin country music. With a jiving contest by all the local Strictly Come Dancing winners, special happy hour prices and a delicious barbecue all included for the price of admission €25, as well as a buckaroo and other competitions on offer, the night promises to be great shindig! 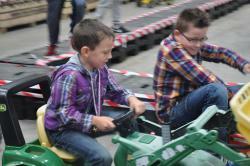 Tickets for the Hoeown are available at local shops and admission for the Family Fun Day is on the day. Suicide and mental healthy issues have affected everyone and the work of cycle Against suicide and so Sad to raise awareness and promote counselling services has been brilliant. 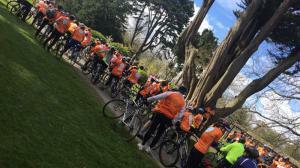 Hopefully everyone now knows that it is OK not to feel OK. We were happy to support the national Cycle Against Suicide two weeks ago as it launched in Navan and stopped for lunch in Simonstown GAA. With 600 cyclists and Pilgrim St. performing for all supporters, it was a a great gathering to promote the cause. 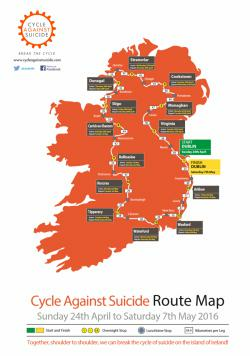 We are also supporting the Cycle Against Suicide by the local Slane So Sad branch by providing fresh produce. 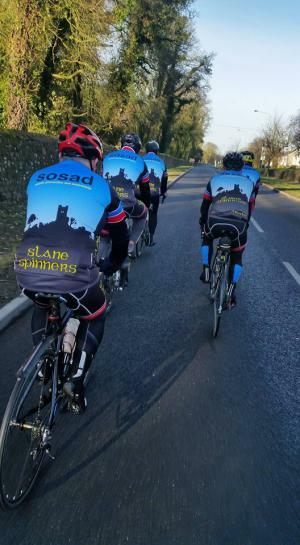 This can be either an 85km or 45km cycle and will start and finish in Slane but take in areas from Collon to Clogherhead, from Ardee to Nobber. Cost is 20 with all proceeds going to So Sad for suicide prevention services. Our Employees of the Month were announced last week, and once again it was a tough call with so many good candidates. In the Fruit division, Mihaela Tiganescu (top with James, Herbie and Ronan) won for her attention to detail and her dedication to the job. In the Vegetable Division, Natalija Strugata (left with Peter and Mark) has proven adaptability and efficiency on different vegetable lines. In the Potato Division, Bianca Popescu (right with Tommy) has a brilliant attitude towards any tasks sent her way.